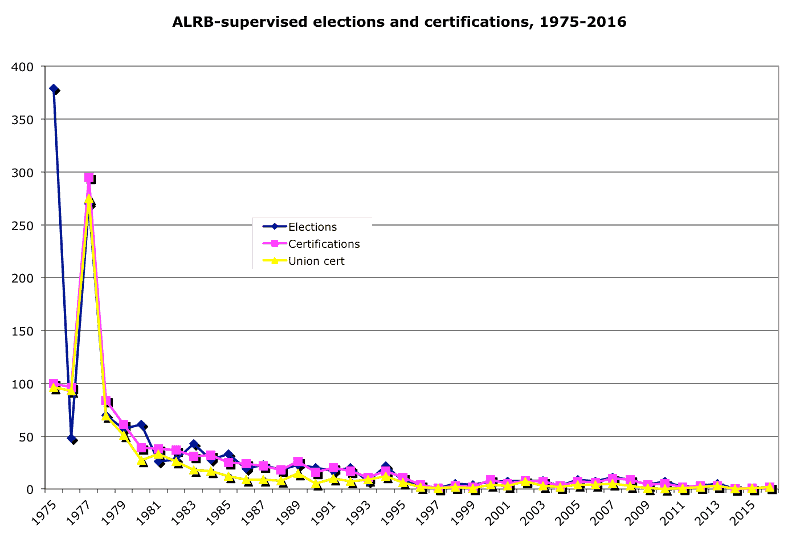 The ALRB supervised 1,326 elections between 1975 and June 2016, including 1,114 in which it certified an outcome. Of the certified elections, unions won 77 percent. The number of elections and the share won by unions has been declining. Over 92 percent of all elections and certifications occurred during the ALRA's first two decades between 1975 and 1995, when unions won 79 percent of certified elections. Between 1995 and 2015, unions won 53 percent of certified elections.